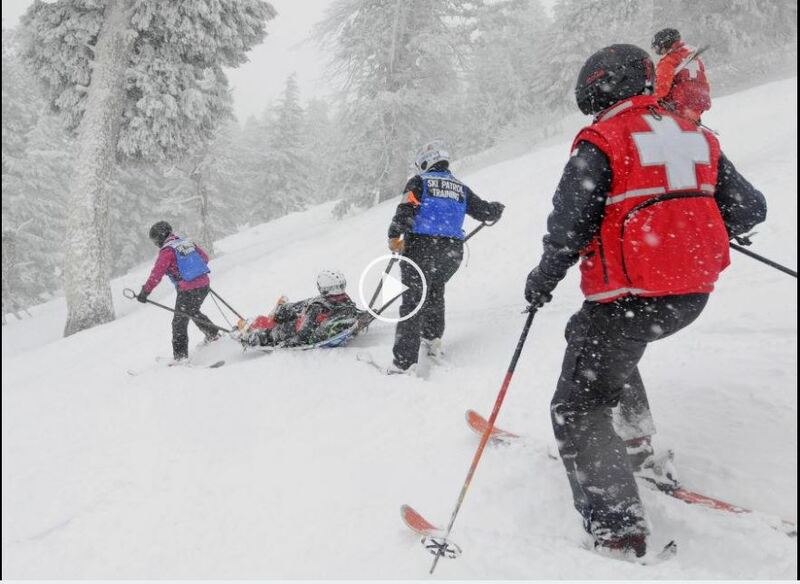 Service and Safety……………….Since the inception of the National Ski Patrol by Charles Minot “Minnie” Dole in 1938, “Service and Safety” has been the NSP motto. Keeping people safe on the mountain and during other outdoor activities is the mission of every patroller wearing the red jacket with the white cross on back. 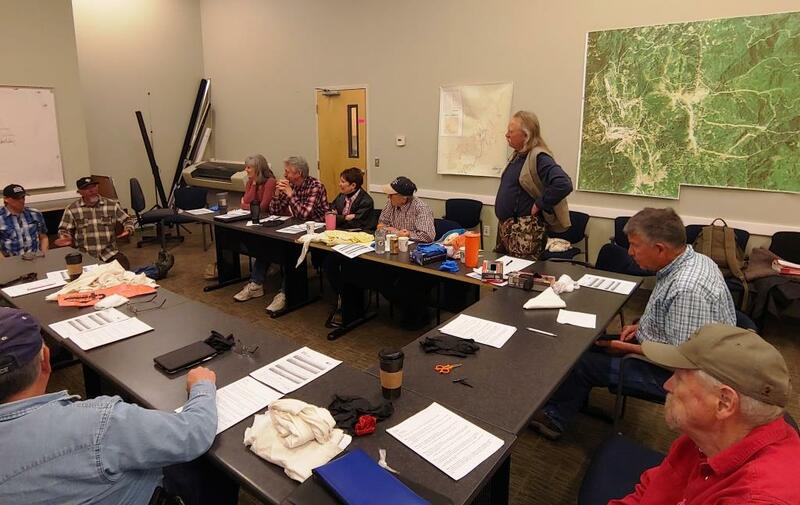 The Bogus Basin Ski Patrol is a mostly volunteer organization that primarily provides support for the Bogus Basin Mountain Resort non profit organization that is entrusted with the stewardship of the ski area by the U.S. Forest Service. The support we provide is emergency first aid services. We respond, assess, treat, package, and transport to higher medical authority. Now that we have the technical accurate description out of the way, we can talk about what is ‘under the hood’. Basically, we are a large family. After the shared adversity of enduring the 15 months that it takes to become a patroller, you really get to know your fellow candidates, the patrollers that train you, and the whole patrol family. 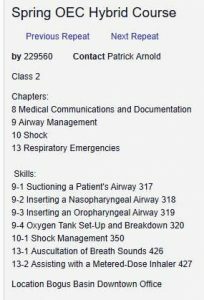 Do I need prior medical or emergency medical care experience? No. 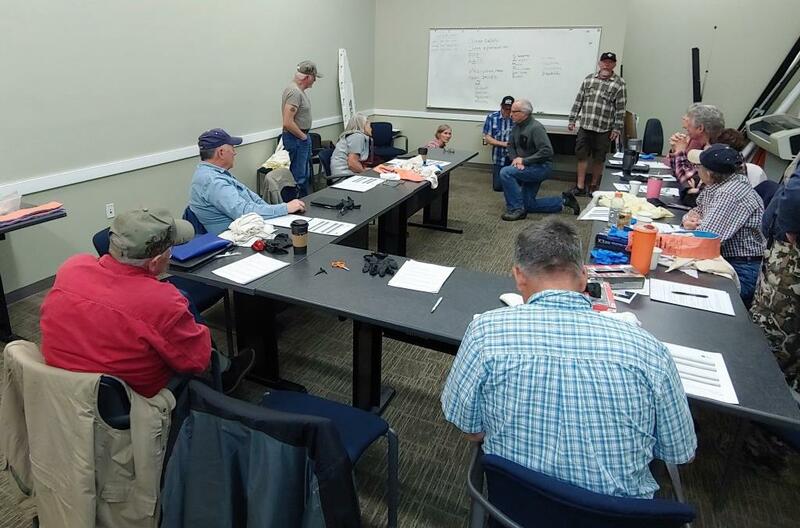 The patrol training program begins with the Outdoor Emergency Care (OEC) training course. 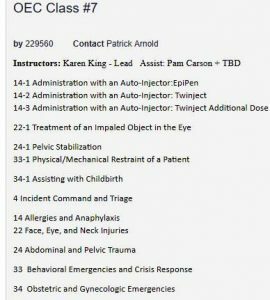 This is a comprehensive class and practical training program that has been developed and refined over the years by the National Ski Patrol. It is intense and requires good personal study habits. 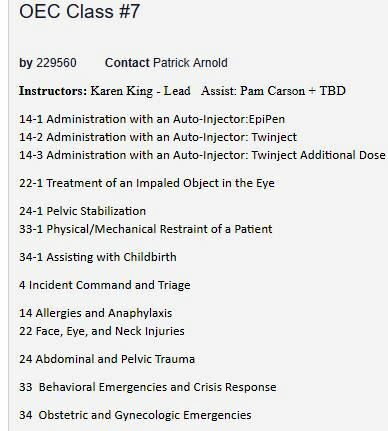 You must, ultimately, successfully demonstrate that you have learned the knowledge and are able to perform the treatment skills that this course covers in a series of written and practical tests. So while prior experience is a benefit the curriculum requires only that you make a strong commitment to learn – and succeed in doing so. 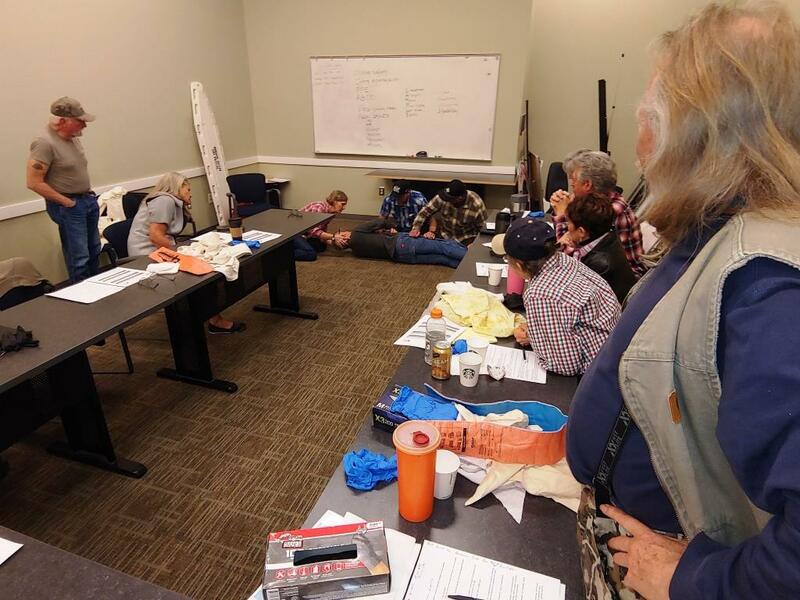 On April 6, 2019 eleven Squaw Butte members joined five Bogus Basin Ski Patrol members lead by Karen King to take a one day version of their “OEC” Outdoor Emergency Care training course. 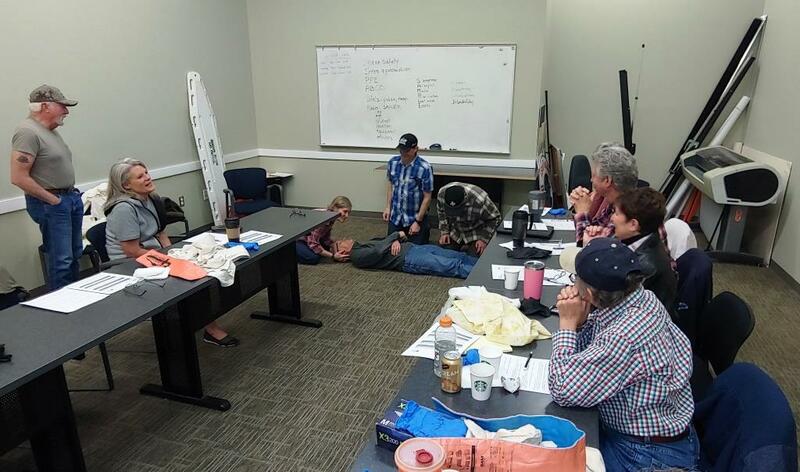 This very hands on course is tailored by Karen and her team to target the types of medical emergencies that Back Country Horsemen might encounter on the trail, and what steps to take and what not to do, until the injured party is delivered to higher medical assistance. The BBSP team would demonstrate and then we would break up into small groups and practice the procedure, during which questions were ask, suggestions made and techniques learned. 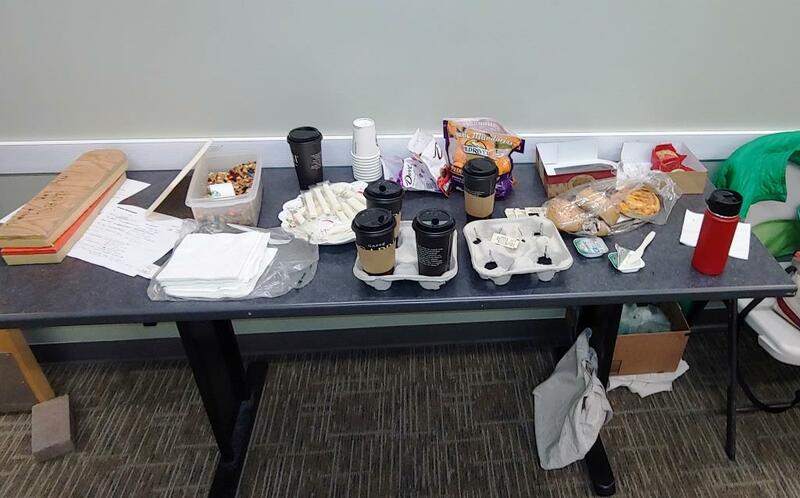 2019 Outdoor First Aid Class Summary Coffee and snacks were available to fuel attendees and during the short lunch break we grabbed by the slice pizza from a shop near by. During the whole day, Bogus Basin staff selling season passes and taking in rental ski packages could hear the laughter through the walls of the training room. 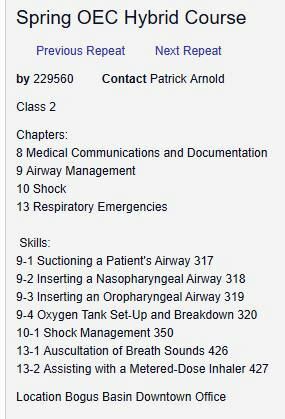 If you have not attended one of these classes, it is highly recommended you do in the future, you will greatly increase your knowledge and have a great time doing it.